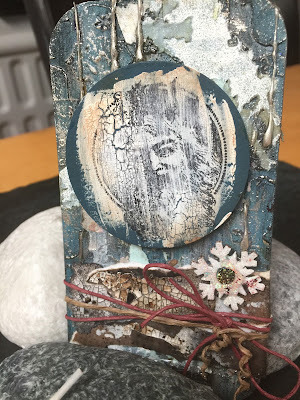 Hello my dear crafty friends and welcome to my new Tando tutorial. Today I am going to share my new TIC-TAK-TOE GAME made with Tando Creative chipboards and Earth Safe Finishes products only. It's easy to make (with some waiting time) project and can be even done with kids and for kids. 1. 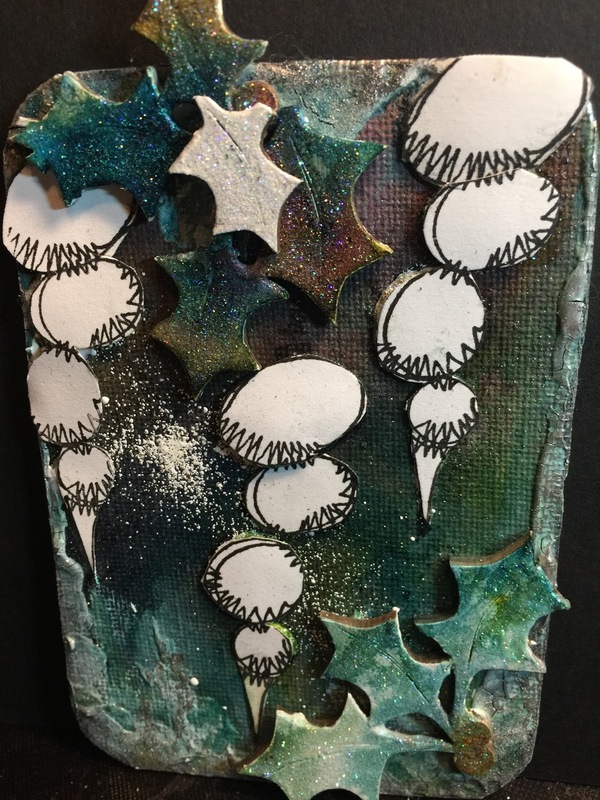 Paint a piece of 4*4'' cardstock with Cherry Jubilee Chalk it Up paint and let it dry. Paint 5 small chipboard ornaments with the same paint. 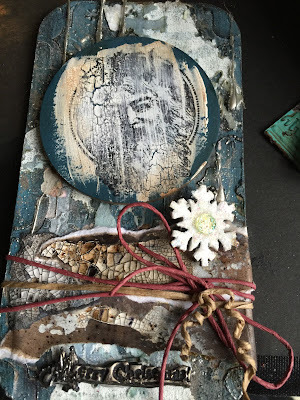 Paint 5 small chipboard snowmen with English Tea Cake Chalk it Up paint and paint the hats with Huckleberry paint as well. 2.Glue the red piece over black magnetic sheet. 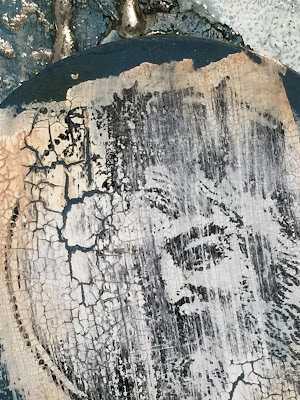 Cover the red paint with a thick layer of ESF Crackle medium. 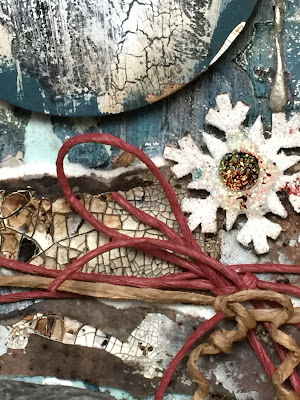 Add small beads over the painted ornaments and snowmen and then cover them with ESF Gel Glaze and let it dry. 3. Paint over the dry crackle with one layer only of English Tea Cake paint and see the crackles! Not add a piece of magnet on the back of each one of 10 painted shapes and arrange them over the game deck. Add strips of red rhinestones to divide the game into 9 squares. to have to get all my shopping done tomorrow EEEk! Also I used the Tando holly shapes which I trimmed up. 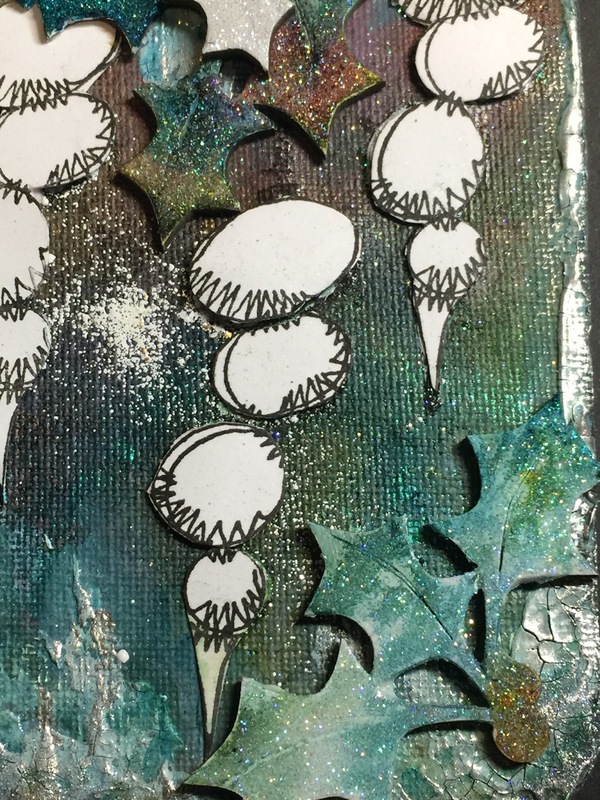 I used fine white glitter over the Gessoed Tando Holly pieces. I then coloured these with mica powders. Voila I think I was wearing more glitter then the board had on it. Deco Art products:- Media: White Crackle PASTE, Media: White Gesso. 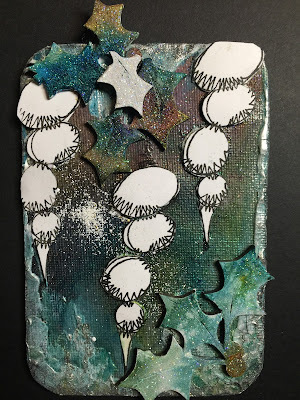 Distress stains spray, glitter, treasure gold pewter, Paperartsy stamps, white embossing powder, Lyndy's stamp gang Mica powders. Hello my dear crafty friends and welcome to my new Holidays post. 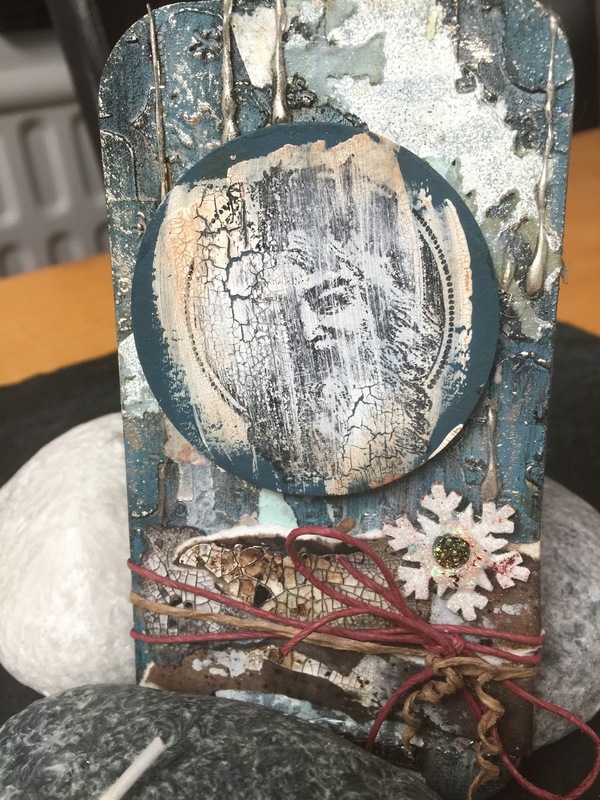 This time I am going to share a lovely frame made with Tando rectangle frame, stamped sentiment and some simple stickers. The chalkboard trend is still very popular, so I made my own chalkboard using Tando packaging as the base of this board and pigmented black ink as the paint for the packaging. I waited for the ink to be dry and then stamped the sentiment with white ink and white embossing powder. 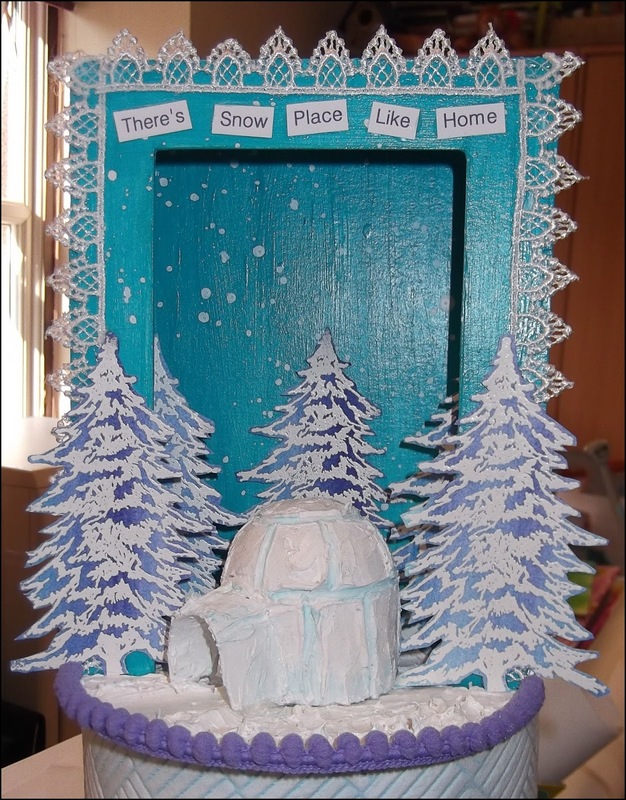 The sides of this frame were embellished with Paper House puffy and die cut stickers. So easy to make and so lovely! 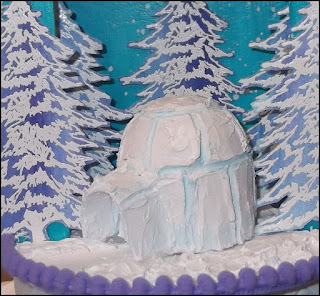 You sure can do the very similar project for any Holiday. How about Valentine? Paint the frame into pink/red; add Love sentiment in the middle and add some hearts and flowers over the frame. 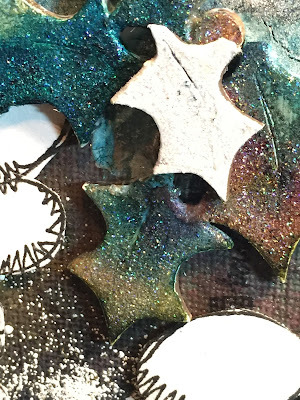 I found it really hard to photograph with all the bling and sparkle, see the latest edition of Craft Stamper for better piccies! Don't forget our draw taking place at the end of the month - we have prizes! take a look at the tab at the top of the page. Hi folks, Lisa here and welcome to my creation for Tando. Our theme this week is Winter Holidays. This week I chose a plain (and lets face it, pretty boring)box to jazz up and alter. I started with covering the box with a light teal blue DecoArt paint which I watered down a lot to create a washy feel. Then gave the lid of the box and the four sides a good coat with DecoArt Weathered Wood. 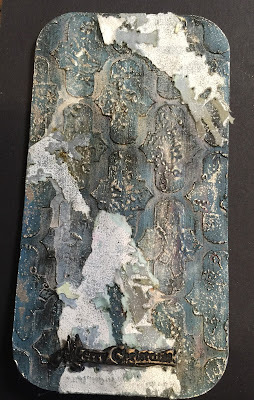 Then I applied a coat of DecoArt Crackle Paint. By using both DecoArt products produces mega cracks, huge, HUGE cracks!!! I then made a muddy browny grey colour wash, then went over it with Stazon Ganache to create more tones. I finished the box off by swiping over white Gesso with a dry tissue. To decorate the box I used lots of Tando goodies. 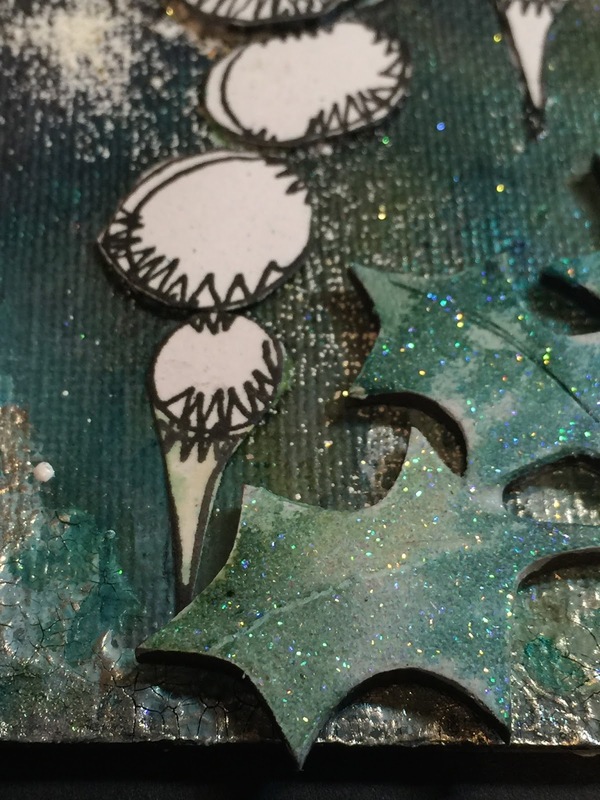 I added DecoArt Sand Texture Paste to the snowflakes, wonky trees and on the wing and breast of the robins. I then painted all the pieces and rubbed some metallic gold to the texture paste pieces. To finish, I went over all the bits with the Stazon Ganache ink. I hope you like my Winter Holidays Box. If you would like to see it in more detail please visit my blog. I would love to hear your thoughts so leave a comment if you can. Here are all the fantastic Tando goodies I used which are all available on the website. Thanks for popping by, hope to see you over at the challenge. For more information on how I put this together please pop over to my BLOG. WONDERFUL CHRISTMAS and may 2016 be kind to you all! underway as for myself I am last minute.com. which I applied through the Mask - Grid Moroccan. painted with a mix of tinting base and prussian blue hue. 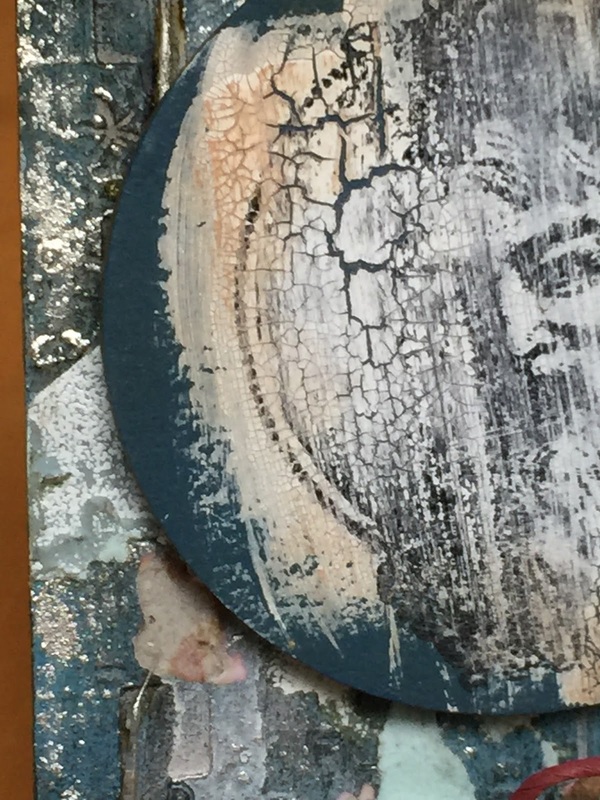 the textured area's up with pewter Treasure gold. 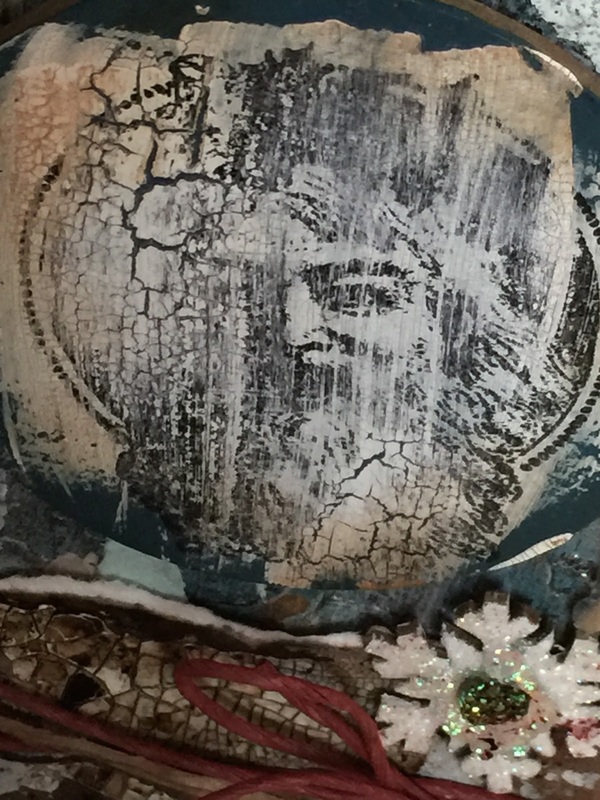 To which I applied Deco art crackle paint. I applied vintage photo distress found the edges. Tando products:- Mixed Media Boards 74mm x 138mm, Tando Mini's Snowflakes & Mask - Grid Moroccan. Deco Art products:- Media: White Modelling Paste, Media: White Tinting Base, Fluid Acrylics & Prussian Blue Hue. 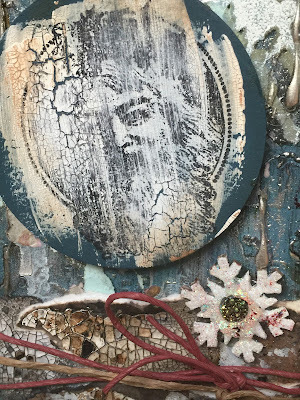 Frayed burlap distess stains spray, Fimo clay, craft tag small, glitter, treasure gold pewter, victorian christmas stamps from the Artistic Stamper.